In a year crowded with releases like GTA V, Gears Judgment and other high-profile franchises, Remember Me is somewhat of an underdog. In development since 2010 - previously under the title Adrift - Remember Me dives in head first as a new IP that isn’t a shooter, making it a risky proposition for Capcom. It’s clear that Remember Me is buzzing with ideas, toying with the concept of changing memories in an intriguing sci-fi setting. But is the allure only skin deep? Set in 2084, Remember Me takes place in Neo-Paris. After inventing the ability to share and erase memories, a clear dig at the modern prominence of social networking sites, the state is constantly monitored by the Memorize Corporation. This leads to rebellion through a group known as Errorist, and players take the role of resistance leader Nilin. After narrowly avoiding having her memory completely wiped (though still losing a significant amount of her background) she, guided by a voice over the radio, must stop the oppression of Memorize while dealing with memory-addicted mutants and coping with her memory loss. The story is intriguing, and some moments are poignant, but predictability and odd writing bring it down. Still, Nilin makes for a likable protagonist, as her voice acting is the strongest of the bunch, and you sympathise with her frustrations of having her memory erased. Remember Me feels like a grand game confined to a cardboard box. Its ideas are spacious, as it attempts to mix multiple gameplay elements, one of which is quite unique. This, combined with a well-crafted sci-fi setting – enhanced through collectible logs detailing aspects of life in Neo-Paris – should make Remember Me one of the best sci-fi games to come around in years. Unfortunately, it feels confined by its linear structure, as rather than allow you to fully explore through its world, DONTNOD instead shove you down a singular path, turning Remember Me into more of a museum, complete with pushy attendants who prevents you from digging any deeper. The game’s moderately lengthy, but with little exploration, there’s little reason to return for multiple playthroughs. It’s a shame too, because a lot of the separate gameplay elements are satisfactory, if not wholly original. There is plenty of platforming to be done throughout the game, and it usually works well. During these sequences, the camera smartly adjusts to a fixed angle in order to provide an optimal viewpoint. Some exciting sequences come when platforming is mixed with chases, such as when a rabid pursuit chopper doggedly chases you, forcing you to perform do-or-die acrobatics to avoid his gunfire. There are some oddities, such as Nilin walking straight off edges, but overall platforming functions well enough. The most interesting gameplay mechanic is remixing memories, where Nilin must alter the memory of her target in order to alter the present mindset of them. This boils down to rewinding memories, much like a VHS, and changing elements – maybe remove a strap, change an object position or remove the safety off a gun – in order to alter the outcome. The interesting part comes from discovering Memory Bugs, where one change can alter the entire outcome of the memory, though if it’s not the desired one, you are forced to rewind. Still, it’s an interesting system that just not utilised enough throughout the game, with only a handful of Remix sections. The last piece of the proverbial puzzle is combat. Most of the game will be spent fighting, and at first it’s quite interesting. 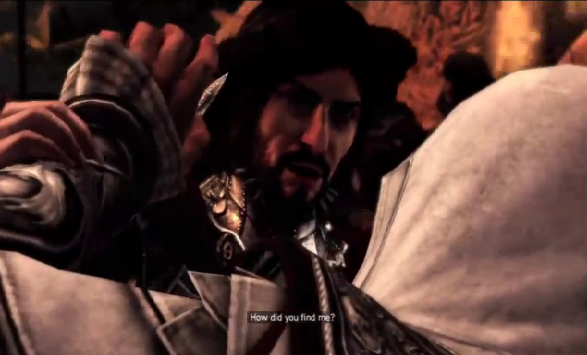 Nilin has two attacks and a dodge mechanic. On top of that, she’ll also gain a long-rang shooter and special powers to even the odds. More interesting, however, is the Combo Lab. Here, you can customise Nilin’s combos with four kinds of Pressens. Three give you health regeneration, increased damage and faster power cooldown and the final doubles the effect of the previous Pressen. You unlock bigger combos, and as such you unlock more Pressens to fill these combos, allowing you to chain together 8 moves. At first, it’s an interesting system which, at least on the harder difficulties, forces you to constantly change your combos to keep up with the various types of enemies. However, combat is diminished by repetition, frustration and camera woes. Though the system proves interesting, by the time you reach the later chapters and all the various enemy types have been revealed, the game starts to lose its lustre. It’s also around this time that the game becomes more frustrating. Enemies often come in large groups, mercilessly spamming you with attacks which are difficult to counter. As much as you try to go on the offensive, you’ll often find yourself banging your head against the wall. Boss fights can prove even more frustrating, and often lack imagination, meaning they’re not all that fun. Camera problems also plague combat from the start, often blocking your view or rotating to an angle which complete cuts out your vision of enemies. All these frustrations build up, diluting the smart ideas DONTNOD implement. Remember Me is at least backed up with solid production values. The visuals are pretty strong, considering it’s running on a dated Unreal 3 engine. 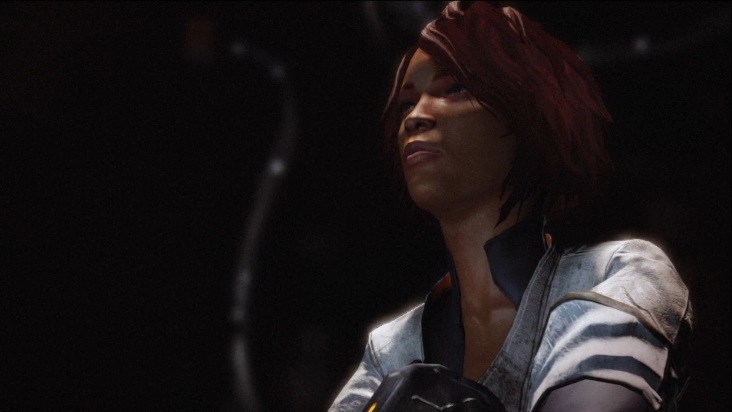 Nilin is rather detailed, and though her facial animation can be sloppy during gameplay, her often expressive facial reactions during cutscenes make her more likable as a character. The world around her is detailed, with perhaps the standout area being a bustling shopping centre, featuring different signs and other small details. It’s just a shame you can’t really explore these areas. The only downer is character models, such as enemies and NPCs, which lack detail and look sloppy in comparison to everything else. The sound is mixed: the music is fantastic, especially during combat where it swells and changes depending on what you do in combat. On the other hand, voice acting ranges from solid to awful, and the corny dialogue can often ruin the serious tone of the story. 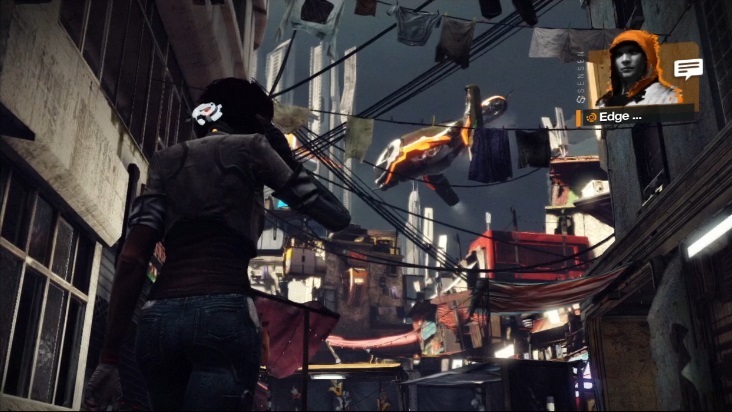 Remember Me has oodles of potential, but only seems to scratch the surface of these grander ideas. It feels like a bigger game confined to a smaller design, creating a vast and intriguing world but only allowing you to explore it through a hand-held tour. 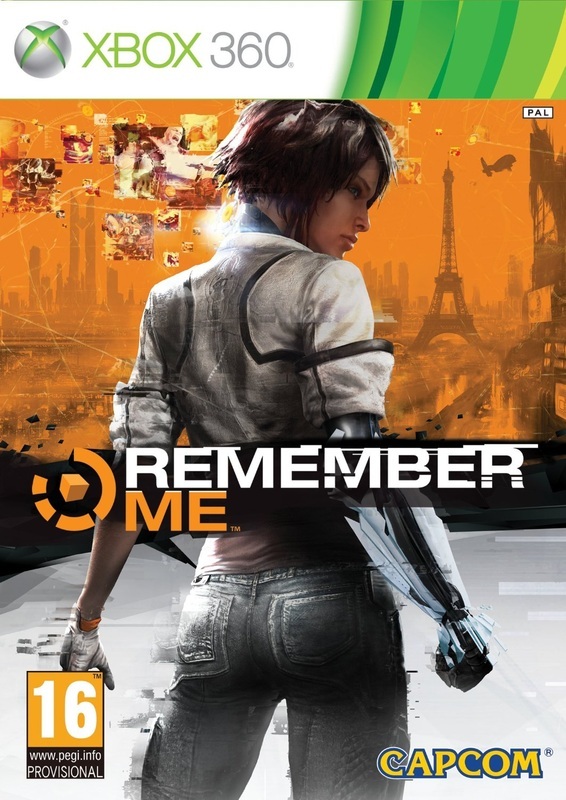 The linear design really compounds Remember Me’s ambition. Its story is bogged down by elements which are predictable and an inconsistent tone, though Nilin remains a likable character despite this. Playing Remember Me feels the same: many of the elements work, but they don’t come together to form a smooth gameplay experience, and combat devolves into repetition and frustration. While longer than your average adventure, there’s little reason to return, and the length too feels restricting towards Remember Me’s ambition. Remember Me aims high, but merely ends up scraping its knees instead.